This year at the annual meeting of the American Anthropological Association I had the pleasure and privilege of participating in a panel in honor of my doctoral advisor, Elinor Ochs. The panel, ‘Experiencing Language: The Contributions of Elinor Ochs to Anthropology’, examined five areas in anthropology that have been inspired by Elinor’s’ work: ethnography of language acquisition across cultures (Amy Paugh), language socialization in educational contexts (Kathy Howard and me), language in ethnic and racial social contexts (Patricia Baquedano-López), autism and communication studies (Laura Sterponi and Wendy Klein), and family and ethics (Tamar Kremer-Sadlik). Bill Hanks and Judith Irvine were the chairs, and Elinor was the discussant. 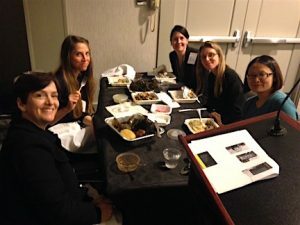 Dr. Monique Mills (University of Houston, Department of Communication Sciences and Disorders), Bethany Frick (Speech and Hearing Sciences), my advisee Somin Kim and I have a poster at the 2018 American Speech and Hearing Association Convention. 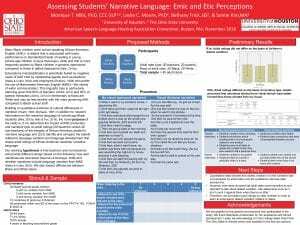 We are presenting preliminary findings from our project ‘Assessing Students’ Narrative Language: Emic and Etic Perceptions”. Funded by a Cross-College Seed Grant, the study examines how teachers and parents evaluate the language of school-age Black students informally and formally, with our ultimate goal being to improve academic assessment of this group. I spent the past few days at UCLA, participating in Experiencing (In)Competence: A Symposium in Honor of Elinor Ochs. Here is an excerpt from the text sent out to participants in preparation for the symposium: “As humans, we are constantly thrown into unfamiliar contexts, wrought in a fluid world. At the same time, we orient to a sense of normalcy, anchored in hexis. In the midst of this tension, we may discover our own and others’ (In)Competence. (In)Competence is an experiential condition of social action, social life, and social order in motion. 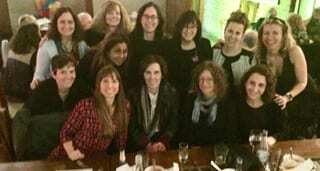 Central to this experiential condition is the sense that (In)Competence is imminent: one can become (In)Competent at any moment.” This photo includes several women with whom I have had the great privilege and pleasure of thinking in motion with over the years. A great resource for students interested in video-based research on social interaction is now available at Learning How to Look & Listen. This website brings together resources from a conference supported by the Spencer Foundation at Arizona State University where an interdisciplinary group of older and younger scholars gathered to document and illustrate the basic patterns of visual and auditory attention that are employed by researchers who use video to study social interaction. Two scholars who trained me, Chuck Goodwin and Barbara Rogoff, are part this fabulous group. At the 2017 meeting of the American Association for Applied Linguistics, I will be presenting on the Expanding Repertoires project as part of the Language and Ideology Colloquium, ‘Transdisciplinary Approaches in Applied Linguistics: Exploring Language Practices and Tracing Ideological Effects to Address Real-world Issues’, organized by Liz Miller and Doris Warriner. Our colloquium is on Sunday, March 19. 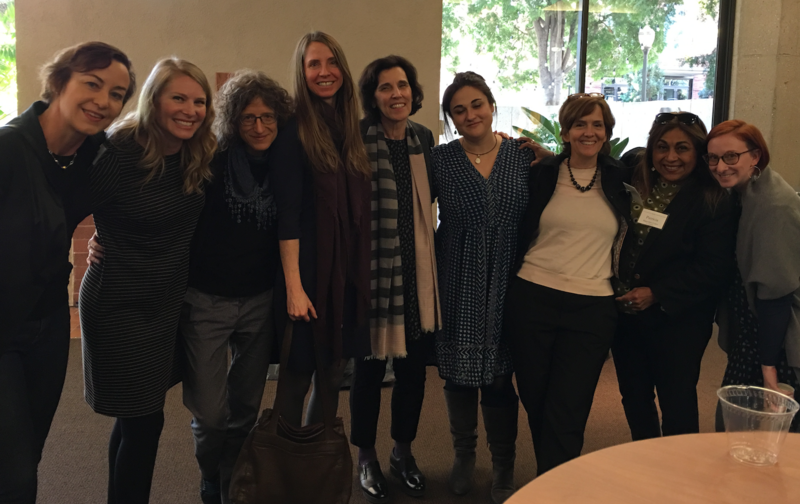 ADDENDUM: Before the panel we had a great lunch of tamales, joined by Kathy Howard (photo by Liz Miller). Today at the 115th Annual Meeting of the American Anthropological Association, my advisee Sirad Shirdon is presenting our paper ‘The co- and re-construction of classroom competence in a Somali-centric Kindergarten’. 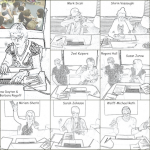 We are part of the panel Language Socialization in Classrooms: Culture, Interaction, and Development, organized by Matthew Burdelski and Kathryn Howard and invited by the Anthropology of Children and Youth Interest Group (ACYIG). 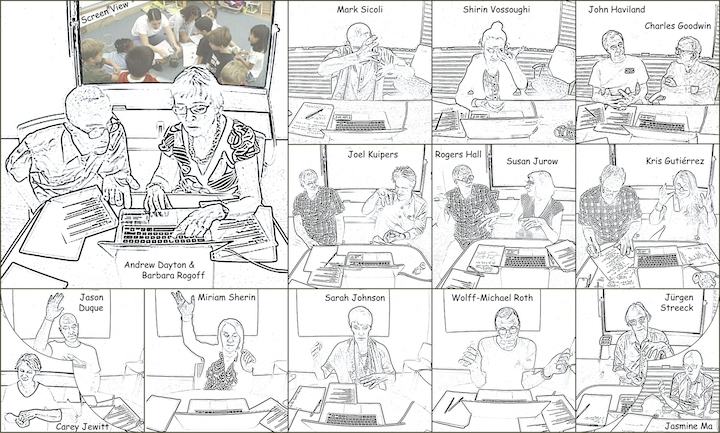 The panel previews an volume edited by Matt and Kathy, to be published by Cambridge. The edited volume Navigating Languages, Literacies and Identities: Religion in Young Lives has come out! Edited by Vally Lytra, Dinah Volk, and Eve Gregory, the volume showcases innovative research at the interface of religion and multilingualism, with an analytical focus on religion in children and adolescents’ everyday lives and experiences. I have a chapter on my research in northern Cameroon and Central Ohio. I will be participating in a workshop this coming week at the Lorentz Center in Leiden. 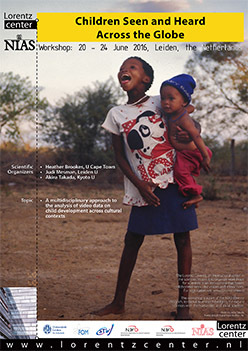 Child development research has been dominated by studies in western urban societies. The aim of the workshop ‘Children Seen and Heard across the Globe‘ is to bring together a small group of scholars working with hard-to-reach non-Western communities in order to build interdisciplinary collaborations around the collection and analysis of video data sets from these communities. This week-long workshop follows up on the NIAS workshop held in April-May 2015. Now live, the website for the NSF-funded project Expanding repertoires of practice: Improving informal science learning experiences for preschool dual language learners. An interview with me about language learning in multilingual communities went live today on the Psychology Today website. Here is the blurb from the front page: What is everyday interaction like in communities where everyone speaks several languages? What language learning strategies do they use? What assumptions do they make about language learning? Dr. Leslie C. Moore answers questions about the two multilingual communities in northern Cameroon where she did her research and about her own language learning in the field.